This large size (26 inches high) hosta from Japan was named by Mark Zilis of Illinois but registered by Peter Ruh of Ohio in 1997. The foliage is moderately wavy, smooth textured and of thick substance. Large, pale lavender flowers form in abundance on clusters in July. This cultivar is part of the "Hirao Series" of hostas. 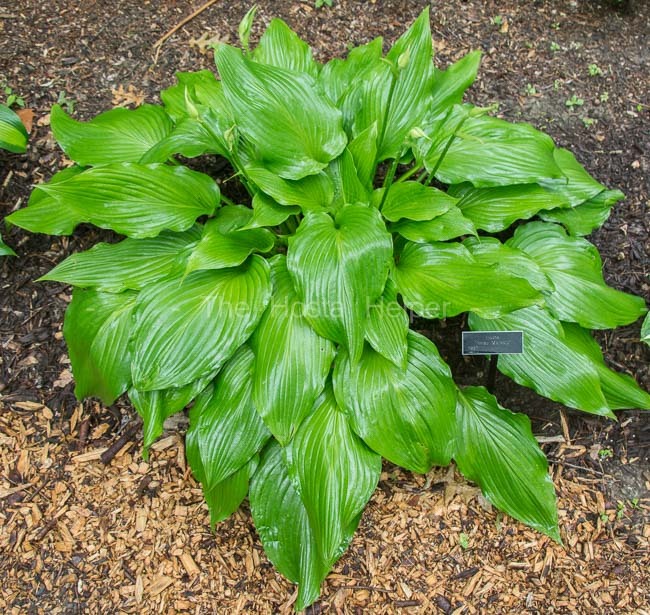 The New Encyclopedia of Hostas by Diana Grenfell (2009) states: "The floppy, pinched leaf blade cascades downard as does the dense raceme of flowers on a long scape. 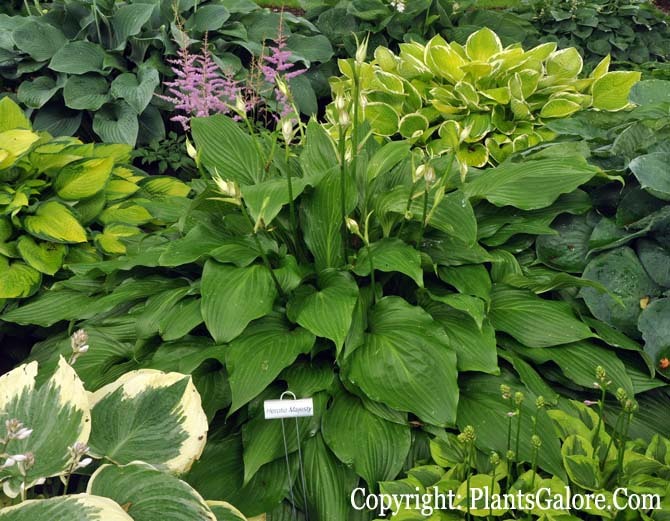 An article about favorite flowering hostas by C.H. Falstad in The Hosta Journal (2006 Vol. 37 No. 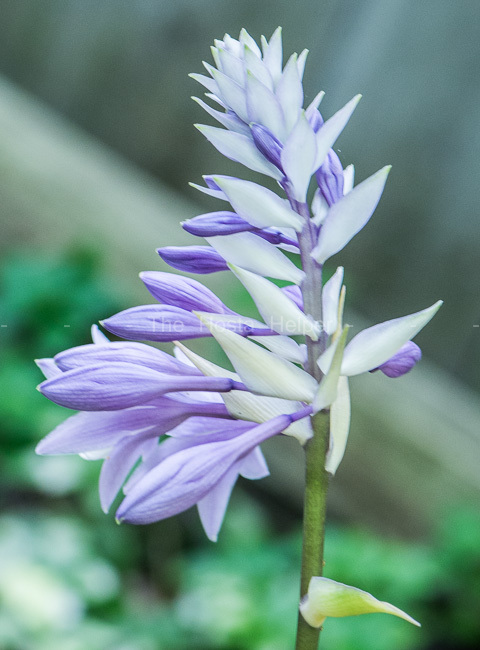 2) says, "Picking one hosta flower is like settling for one flavor of Ice Cream the rest of your life...H. 'Venus' - how can you beat a huge, pure white, deliciously fragrant flower...'Austin Dickinson': Wow! Large, fragrant, with dark purple stripe son white background in the inside and purple and white perpendicular bands on the outside, upright scapes with flowers held out at 90 degrees...'Hirao Majesty', solid medium purple with deep purple anthers...Large flowers with pointed petals (tepals)...Many people call 'Hirao Majesty' the bird-of-paradise of hostas, and the unopened scape and bracts resemble that plant quite well."